Kömmerling's liquid composite partner in Estonia, Andrese Klaasi, is manufacturing and installing replacement panels for the famous War of Independence Victory Monument, located in Freedom Square,Tallinn, Estonia. Illuminated from inside, the structure, known as ”Liberates”, provides a stunning centrepiece to the ancient capital city. Damage to the monument over the last four years has led to the replacement of six panels with another due for installation in the near future. Each panel is two metres long and varies in width between 650mm to 950mm. The glass has a depth of 50mm so the weight of the panels varies from 160kg up to 240kg. 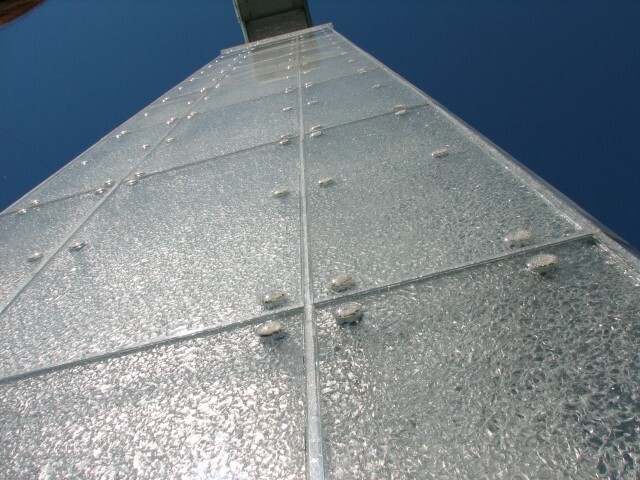 The panels have a strict specification covering the, thick, heavily decorative, tempered and textured laminated glass and are manufactured in the Andrese Klaasi AS plant , where the Ködiguard liquid composite is applied. The passive curing and complicity with textured surfaces and asymmetrical substrates of the composite makes it the ideal product for this unusual project. Upon completion each panel will then be structurally bolted to the memorial. Chairman of Andrese Klaasi AS, Gerd Veelma, explained; "It is an honour to work on this memorial and to have our experience and expertise in the use of glass in construction recognised. Our capabilities have been greatly improved as a result of our recent developments and investment in processing the Kömmerling range of liquid laminating materials. This versatile range of laminating products allows us to offer products for sound reduction, safety, security and mechanical applications." "Libertas" was designed by Rainer Sternfeld, Andri Laidre,Kadri Kiho and Anto Savi and erected in 2009 after decades of discussion. 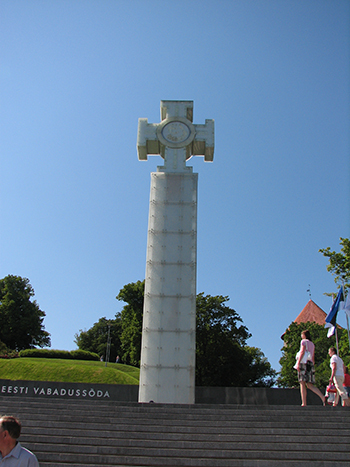 The memorial is dedicated to those who fell for the Estonia during the War of Independence in 1918–1920 with Russia..
Koemmerling Chemische Fabrik GmbH is a leading international manufacturer of high-quality adhesives and sealants. Its European headquarters and extensive research and development facilities are in Pirmasens, Germany and it has a network of subsidiaries, sales offices and sales partners, in more than 80 different countries. Members of the group have over 110 years experience of the development of adhesives and sealants. In particular the company has established itself as an innovative market leader in provision of Polysulfide, Polyurethane, Silicone and Polyisobutylene sealants for the automotive, insulating glass and photovoltaic industries. In 2013 the company became a group member of Royal Adhesives and Sealants. Koemmerling Chemische Fabrik has been awarded ISO 9001, ISO 14001 and OHSAS 18001 certification.